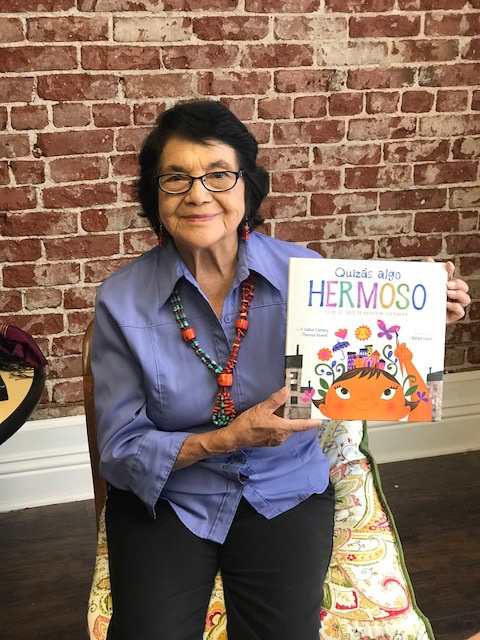 September 18, 2018 (BOSTON) — Jumpstart is pleased to announce legendary labor organizer and Presidential Medal of Freedom recipient, Dolores Huerta, as the official Literacy Champion for Jumpstart’s 13th annual Read for the Record campaign. Read for the Record is a global effort to raise awareness about the need for high-quality early learning for all children and the transformative power of books and reading to impact student learning and engagement. Huerta joins past celebrity ambassadors Josh Duhamel, Bridget Moynahan, Nigel Barker, LL Cool J, Maya Angelou, Mandy Moore, Julianna Margulies, and others, in supporting this 24-hour celebration which, since 2006, has mobilized more than 19 million people in support of early education and literacy.